Here, my signature design turns itself into an edgy, geometric chevron-y pendant. I've lined up eleven Ring O' link pins on a silver-toned wire forming a symmetrical shape. A very thin black-plated chain holds the pendant. This is a very unique version of the chevron necklaces that are so popular today. The piece spans roughly 2"(5cm) X 1" (2.5cm). Choose your length. 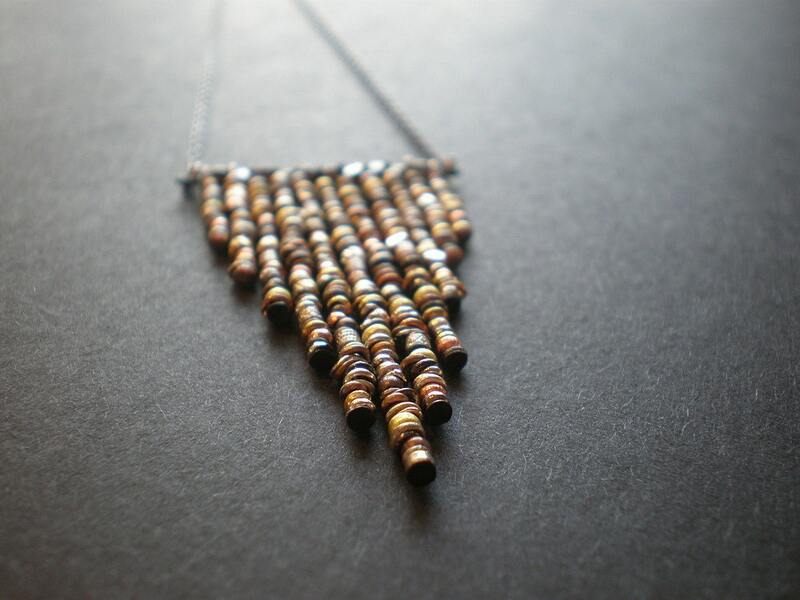 I like it long, layered with other necklaces. 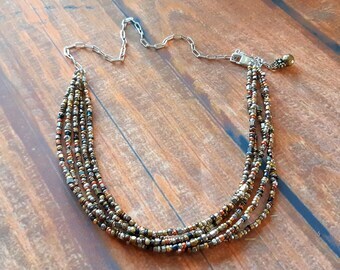 Or ask for it short as a real statement necklace and get tons of compliments from strangers. Send them to me, of course!